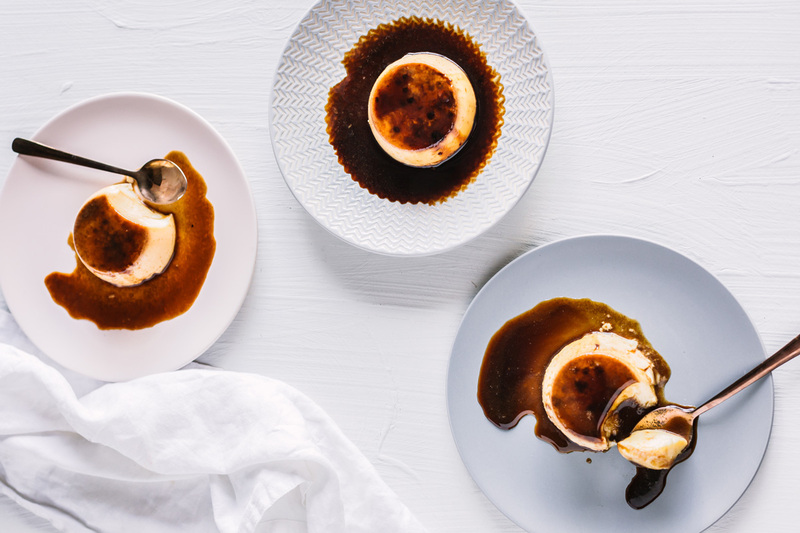 Crème Caramel can be a tricky dessert to nail. Unless you’re a sucker for punishment, it’s one of those things that is usually better left to the professionals. But, like all good things in life, there’s a hack for that. This recipe for Cheat’s Crème Caramel is sure to impress your guests and give off the illusion that you’re a whizz in the kitchen. make sure the oven rack is positioned on the lower third of the oven. equally divide the Natura Sugars Dark Muscovado between them. room between each of the moulds. starts to boil. Immediately remove from the heat. While whisking, gradually pour the milk/cream mix into the egg mixture. Strain the mixture into a pouring jug and pour it into the prepared moulds. Don’t worry if any sugar begins to float, it will eventually sink. Allow to cool before refrigerating for at least 4 hours, or preferably overnight. When you’re ready to serve, run a thin knife along the edges of the moulds and invert onto a plate. The caramels will keep in the fridge for up to 3 days. While you’re in the kitchen why not also try this recipe for an Asian-inspired Short Rib and Udon Noodle bowl?